Erin Hart reads the first scene from "Lake of Sorrows"
Minnesota writer Erin Hart's new novel, "Lake of Sorrows," brings fans of her first book back to familiar territory -- the mystical world of Ireland's bogs. In fact, the first scene in the book describes a man being swallowed alive by a bog. St. Paul, Minn. — "Lake of Sorrows" continues the story of pathologist Nora Gavin and archeologist Cormac McGuire, who were introduced to us in her first novel, "Haunted Ground." The two team up to investigate a series of bodies buried in the bogs. Like "Haunted Ground," this book combines archeology, forensics and Hart's love of Irish music and culture. Hart told MPR's Greta Cunningham that a Seamus Heaney poem sparked her interest in "bog bodies." 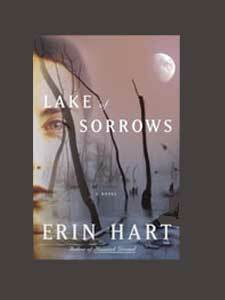 Hart reads from "Lake of Sorrows" at 6:30 p.m. Oct. 14 at the Once Upon a Crime Bookstore in Minneapolis.